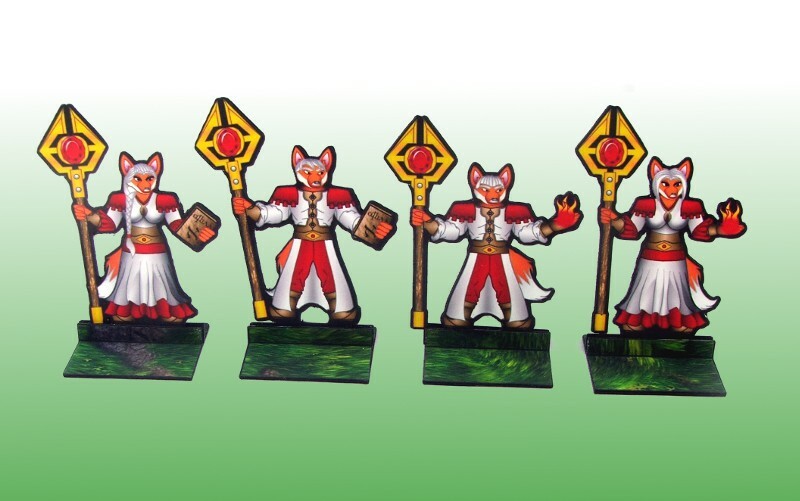 One monk runs a monthly Paper standee figure submission on his website. As I had not submitted anything for a few months I thought I’d try and complete a few standee’s for this months hoard. 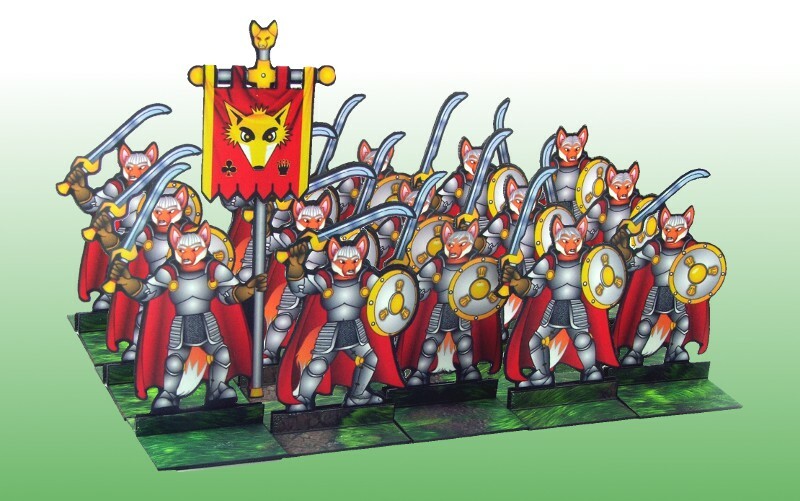 As it turned out onemonk also offered up a bit of a prize for his months hoard, so I ended up working up a whole core army of standee’s (Which explains why no progress on other projects this month). 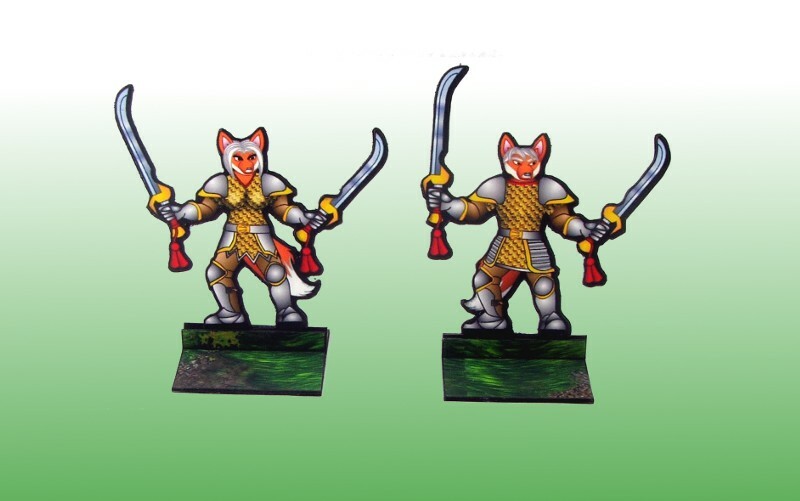 Warband Ferocious soldiers who lack discipline but not bravery Possible Wild Fox’s? 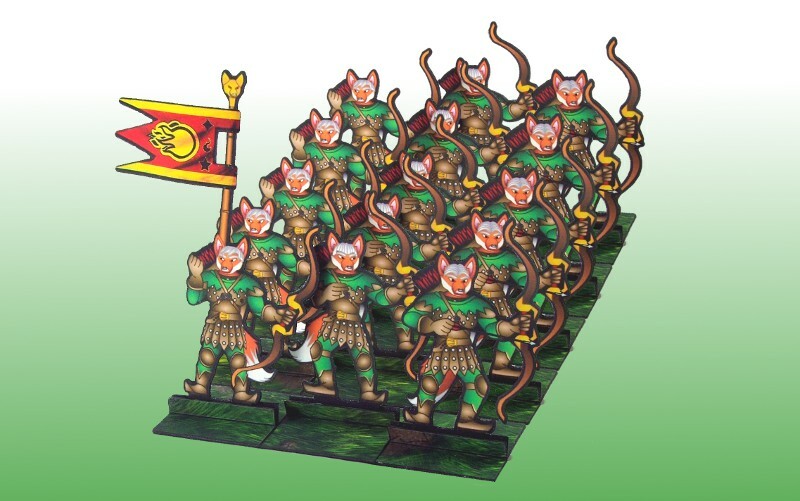 Next up was the Longbow men, they turned out looking a little robinhood-ish and I only did 3 different poses and limited the legs to left/right/center. 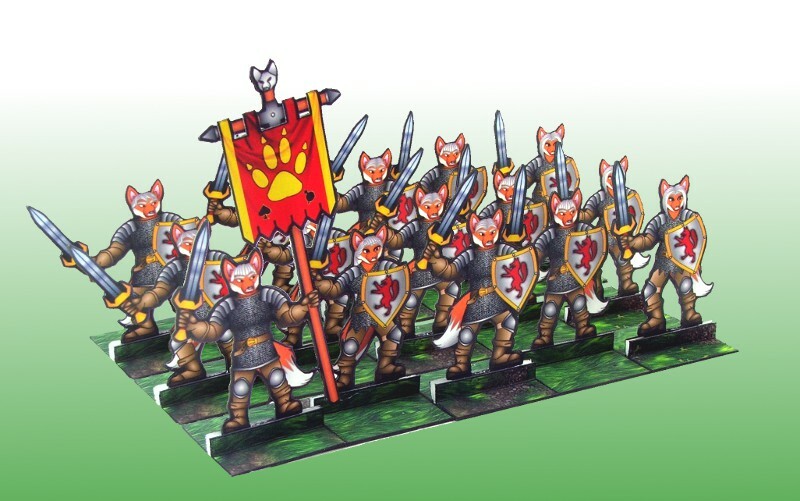 Next was the Light infantry equipped with light chain mail and leather armour. 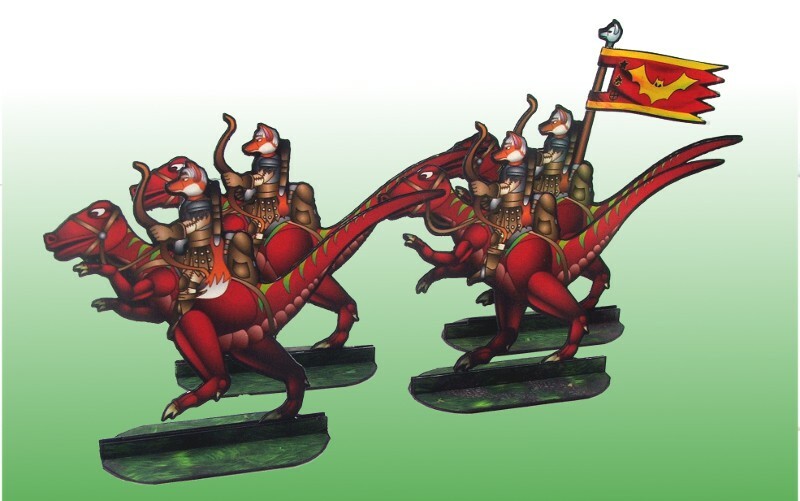 Then I worked up some Light cavalry mounted on dinosaurs with the fox’s wielding short bows. 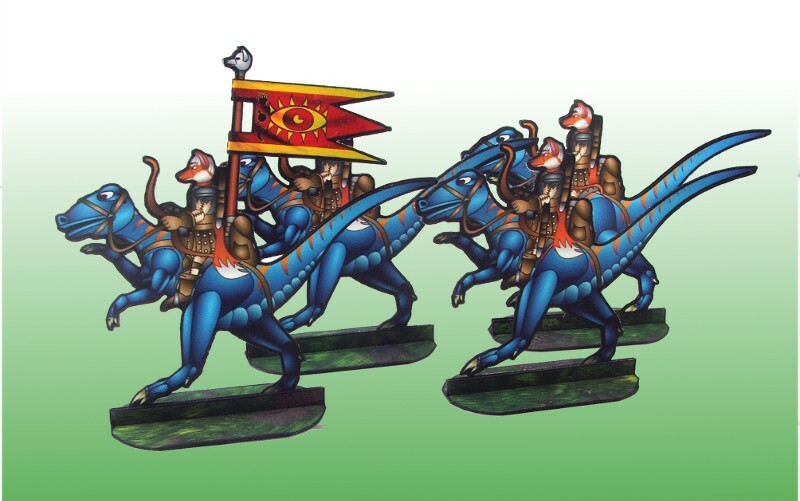 At this point I went back and worked up standard bearers for the 4 troop types designed so far. 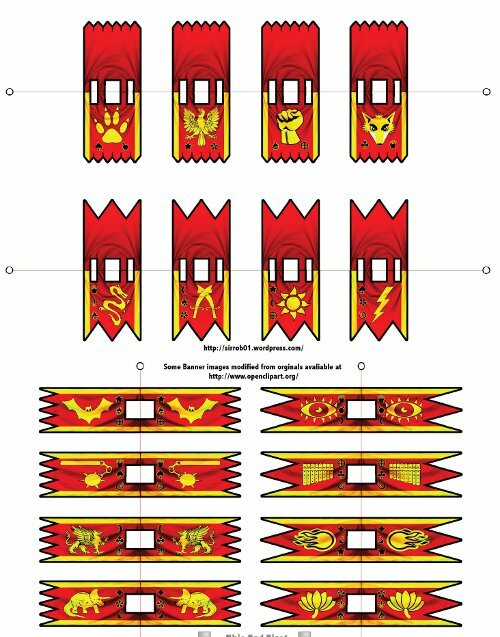 I did a vertical and Horizontal Standard bearer for each troop type, except the cavalry which got horizontal banners only. 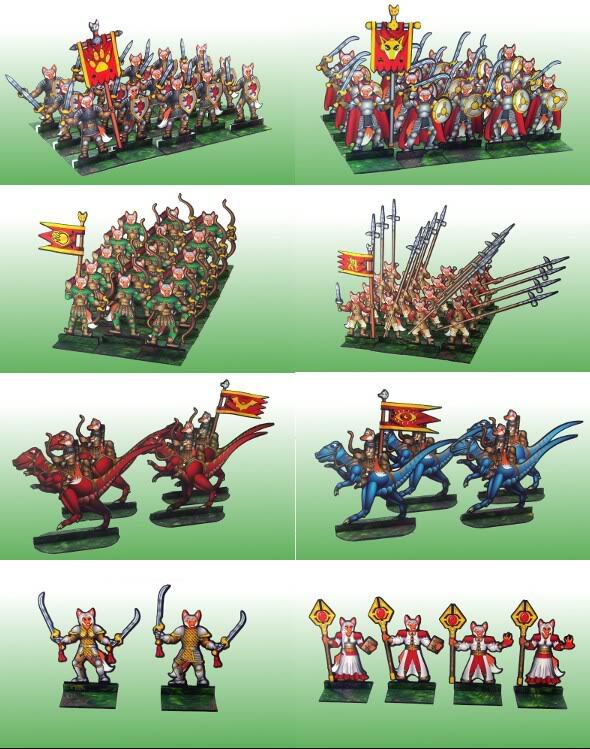 Once the banners were done, I designed up a Mage and Hero to give the army some special characters. 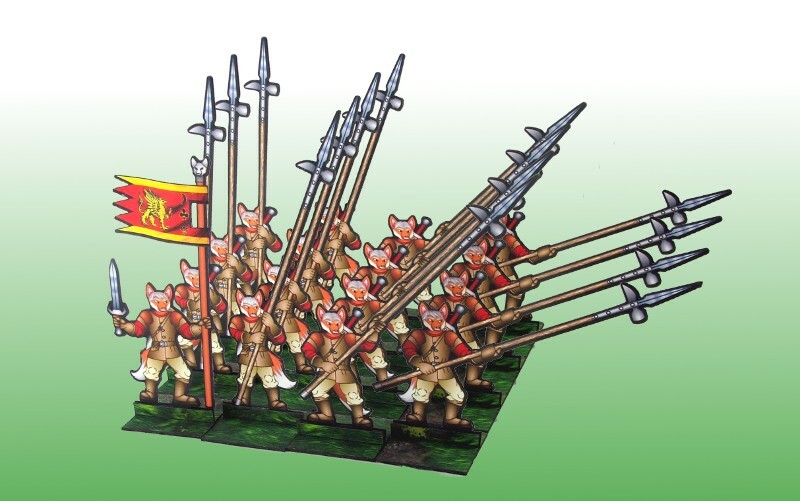 The last troop type I worked on for the Hoard was a set of pikeman. 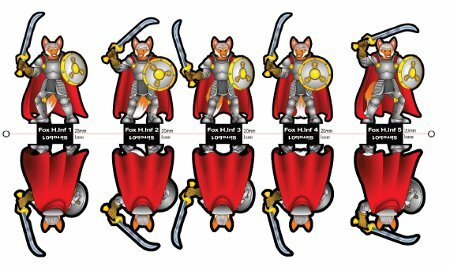 Once the troop types were done I worked up the craftrobo cutting files and did some test builds of each of the troop types, frustratingly I seem unable to get a consistent result with my cutting files sometimes they cut very accurate and the next time not so accurate.